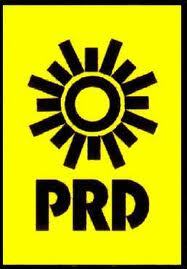 The PRD selects Andrés Manuel López Obrador as its official candidate, who will lead a now united left. The PRI’s leading contender Enrique Peña Nieto announces his intention to open Pemex to more private investment, and the PAN’s Ernesto Cordero releases a six-point agenda. 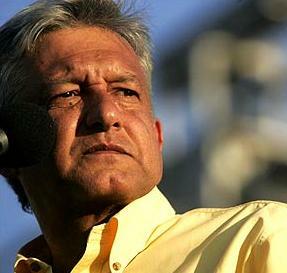 Andrés Manuel López Obrador is officially the candidate of the left as of November 16th, 2011. 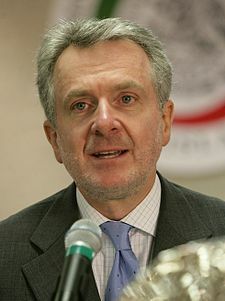 He and Marcelo Ebrard had agreed that the winner of a poll of active and affiliated party members would be the nominee. In the poll conducted by Covarrubias y Asociados, 39 percent of respondents favored AMLO and 32 percent preferred Marcelo Ebrard. Twenty-five percent declined to choose between the two, and four percent were undecided. Ebrard, who at 52 is still considered young enough to bide his time, threw his weight behind AMLO. The decision was unsurprising to many, given AMLO’s popularity within the party: 75 percent of respondents in a recent Mitofsky poll supported him over Ebrard’s 17 percent. However, the extent of party unity is remarkable; a few weeks ago, many observers doubted whether the two factions could come together. As The Economist notes, AMLO faces an uphill battle for the presidency, but the left has succeeded in the significant feat of fielding a single candidate. 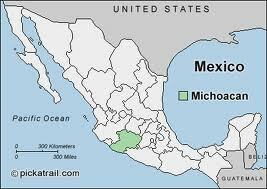 López Obrador has promised to create four million jobs in his first 42 days in office and to return to army to its barracks within six months. The campaign officially begins in February. A full count of ballots from the Michoacán race from November 13th shows that the PRI’s Fausto Vallejo won by 52,233 votes. The PAN’s Luisa Maria Calderón, who came in second, and the PRD coalition’s Silvano Aureoles, who came in third, conceded the race. The result, while expected to be close, surprised many observers: an October 26th poll by GCE had shown Calderón to be nine points ahead. She eventually lost by nearly three percentage points. The Mexico Institute’s Eric Olson has analyzed the concerns about violence that impacted voter choice, and what this could potentially mean for next year’s presidential election. Enrique Peña Nieto, the frontrunner in the PRI’s internal race, criticized President Calderón’s strategy against organized crime as “insufficient.” Many believe his lead in the polls (by 23 percent, according to a recent Mitofsky poll) derives from his pledge to reduce violence linked to the current government’s attack on drug cartels. Santiago Creel told the press that he is “ready” to defeat López Obrador. Ernesto Cordero announced his national project with six objectives: a higher quality of life, a growing and innovative economy, sustainable development, security and rule of law, a stronger Mexico in the world arena, and more active civil society. This entry was posted on Monday, November 21st, 2011 at 9:32 pm and is filed under Analysis of Key Moments, The Week in Review. You can follow any responses to this entry through the RSS 2.0 feed. You can leave a response, or trackback from your own site.